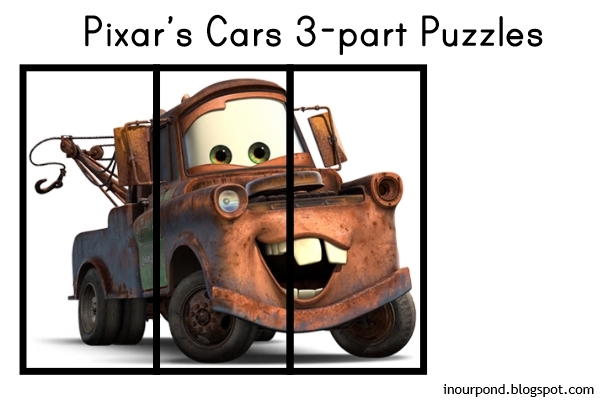 These puzzles are Cars-themed because my kids love everything with wheels and especially the Cars movies. They can be used as either a busy bag activity (cut out the playing pieces and the boards) or as a folder game (leave the puzzle boards uncut and only cut out the playing pieces). Obviously, I don't own the Cars images. The pictures came from Disney Wiki. As always, I'm offering the printable for free. To download it, click here.